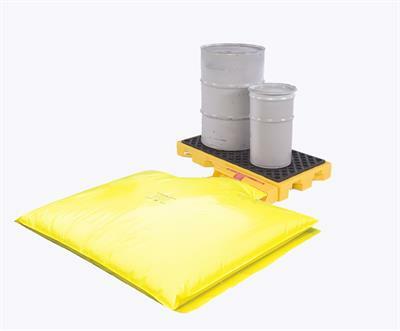 Lowest cost spill containment pallet also provides flexibility for storage and shipping. 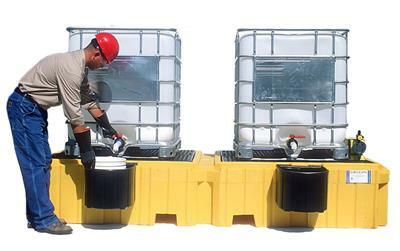 The challenge with traditional spill containment is that it's big and bulky. 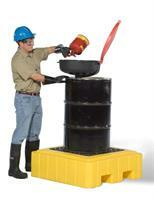 It has to be in order to have the containment capacity for a 55-gallon drum. At least it does if you want to meet the EPA regulations. 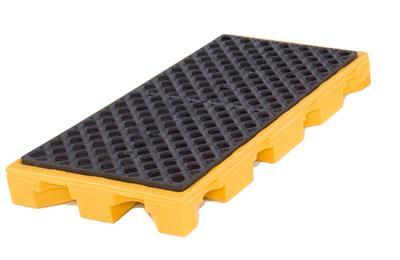 Low Profile, Nestable Spill Pallet Reduces Shipping Costs and Storage Space. 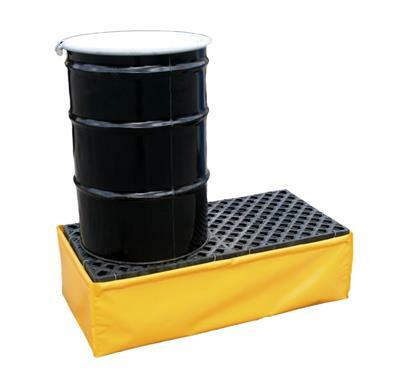 The low profile tray is perfect for containment of 5 gallon buckets, batteries, gas cans, leaky parts and equipment. 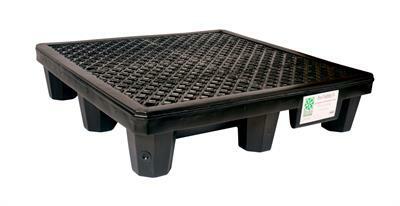 The optional 2' x 4' grating elevates containers - 14 gallon sump capacity with grating. 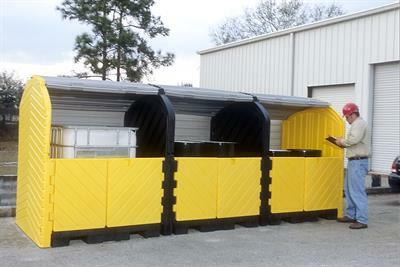 Ultra-Modular IBC Spill Pallet Option Extender Kit for Outdoor Models. 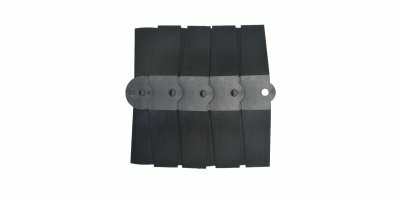 Part# 1165, 1166, 1167, and 1168. 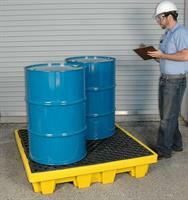 Keep Spills and Drips Contained Off Warehouse and Factory Floors. 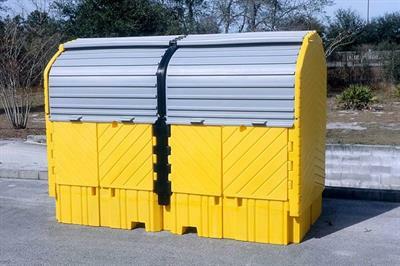 Will not rust or corrode - constructed of heavy duty polyethylene. 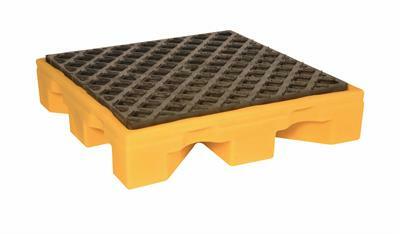 Stackable for easy storage when not in use. 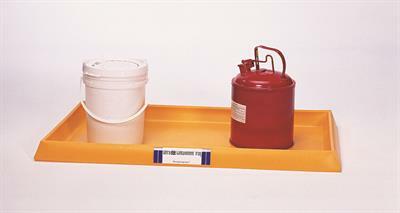 Ribbed bottom keeps containers elevated above any spills or leaks. 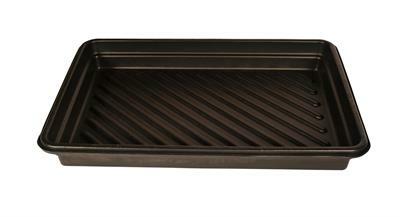 Utility Trays are available in six sizes for various applications. 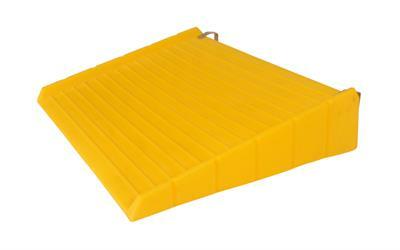 UltraTech Spill Deck Ramp - 1089 - Optional Loading Ramp For Ultra-Spill Decks. 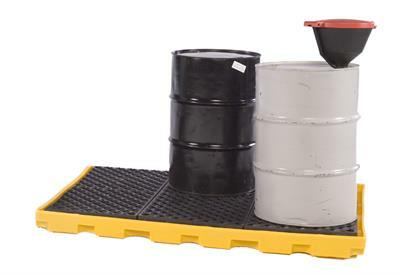 Optional Loading Ramp provides added drum handling safety and convenience. 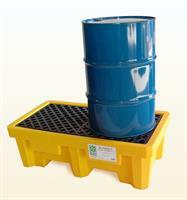 One piece spill containment decks for 6 or 8 drums. 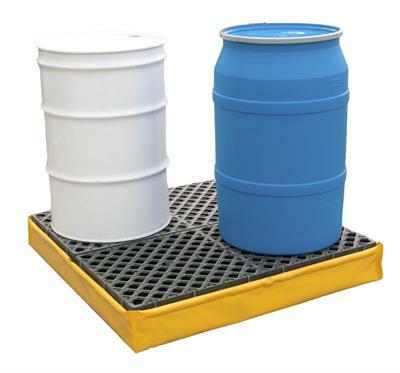 The Ultra-Spill Decks quickly became one of our most popular product lines. 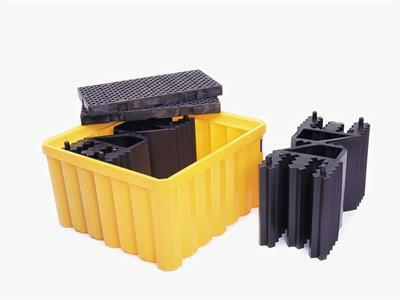 Part of their popularity is the fact that they are modular - they can be connected in a number of different ways - to meet the needs of the customer.